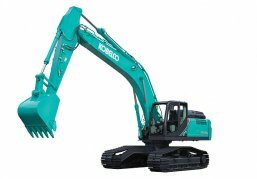 This machine is specially equipped for forestry and hilly terrain work. It has generous ground clearance of 785mm. The extra crawler width ensures excellent stability and improved lifting capacity. Comes with 2YR/3,000HR Full Factory Warranty and 4YR/6,000HR EPT Warranty.